Tonight on CTV Windsor, we featured a recent addition to the WindsorEats family, Pho Maxim. 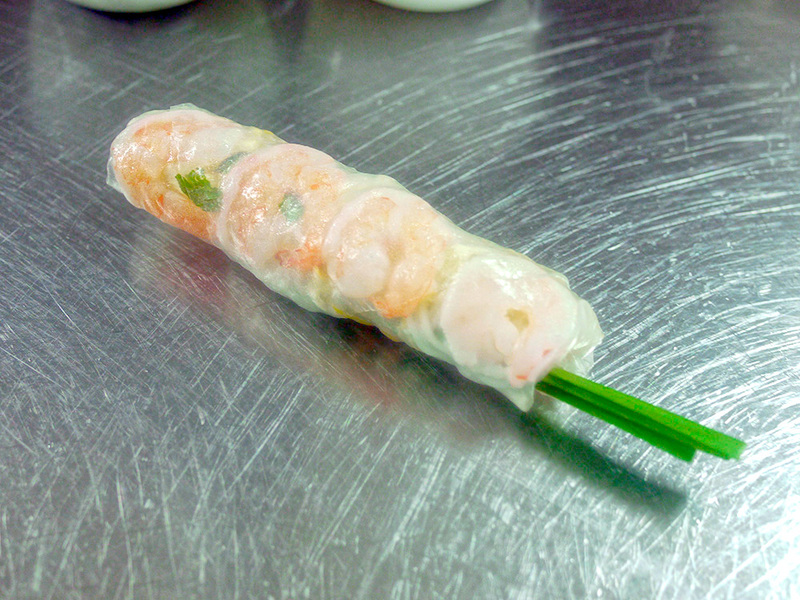 Tina Huynh, owner of the restaurant, showed us how to make Shrimp Summer Rolls with peanut sauce. Here’s the recipe for you to try at home. Mix peanut butter and hoisin sauce in a small pot and heat on low heat, mixing until combined. In a small pot of boiling water, cook peeled shrimp for a couple of minutes until cooked and then strain. Once cool to the touch, slice in half lengthwise and set aside. In a large pot of boiling water, cook rice vermicelli according to the package instructions. Combine shredded lettuce, sliced mint and beansprouts in a large bowl and set aside. Fill a bowl large enough to fit the rice paper sheets with hot water. 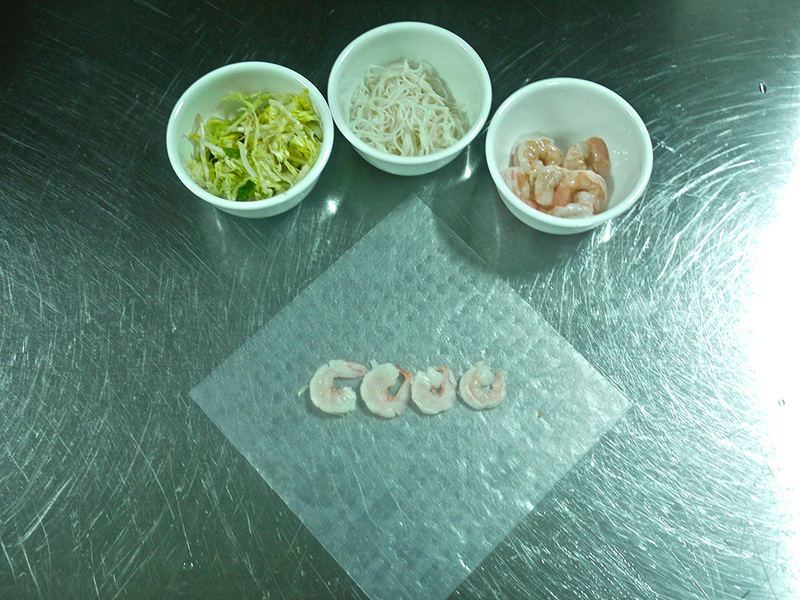 Have the work station ready with your noodles, vegetables, and shrimp before beginning to roll. 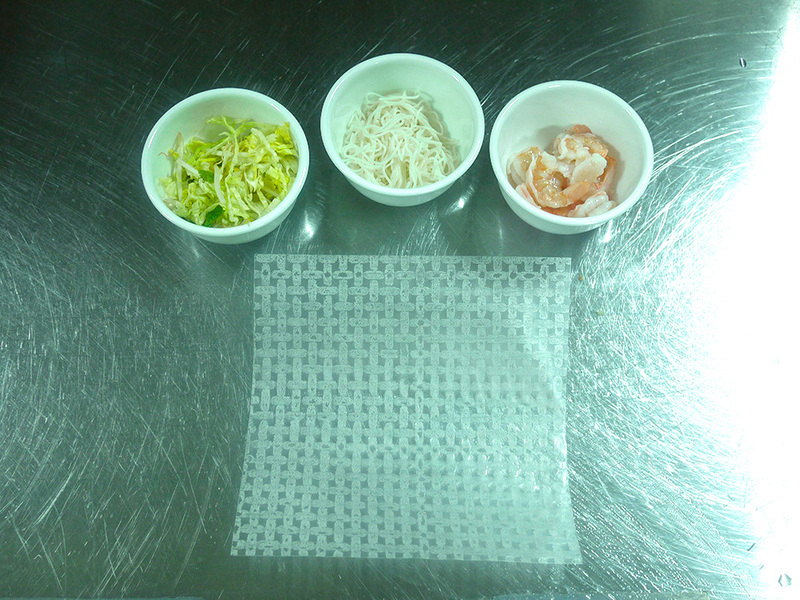 Dip the rice paper into the hot water quickly and lay flat on the table. 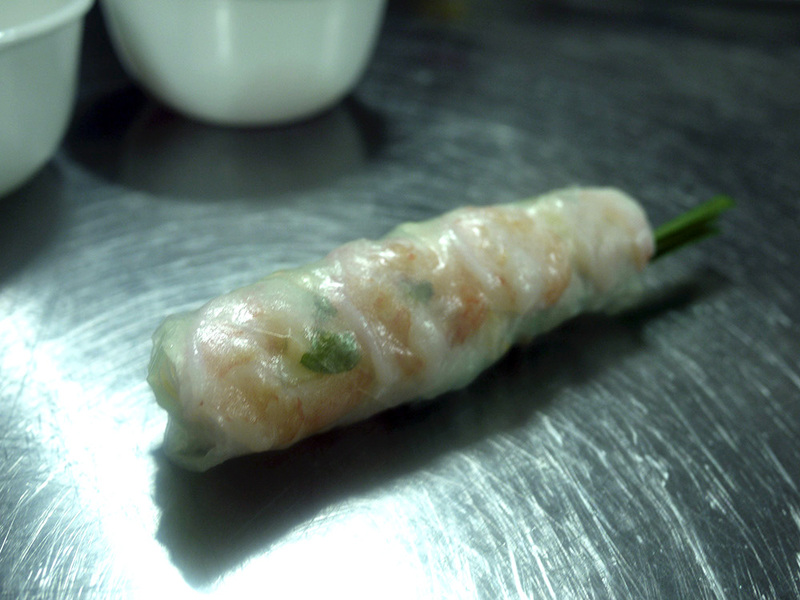 Place four shrimp halves along a line in the middle of the rice paper. 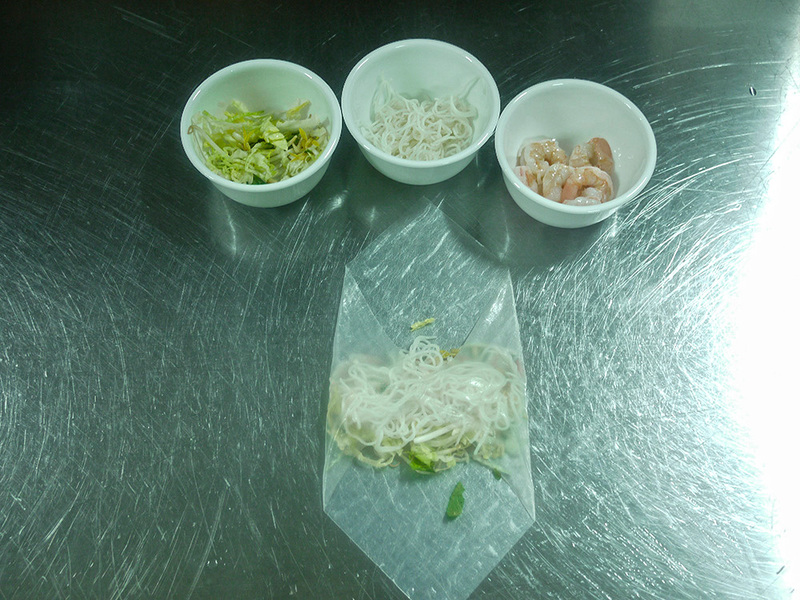 Spread about 1/4 to 1/2 cup of fresh vegetables on top of the shrimp, and then place a small handful of vermicelli noodles on top of the vegetables. Be sure not to place too many ingredients in the roll or it will become too large and difficult to roll. 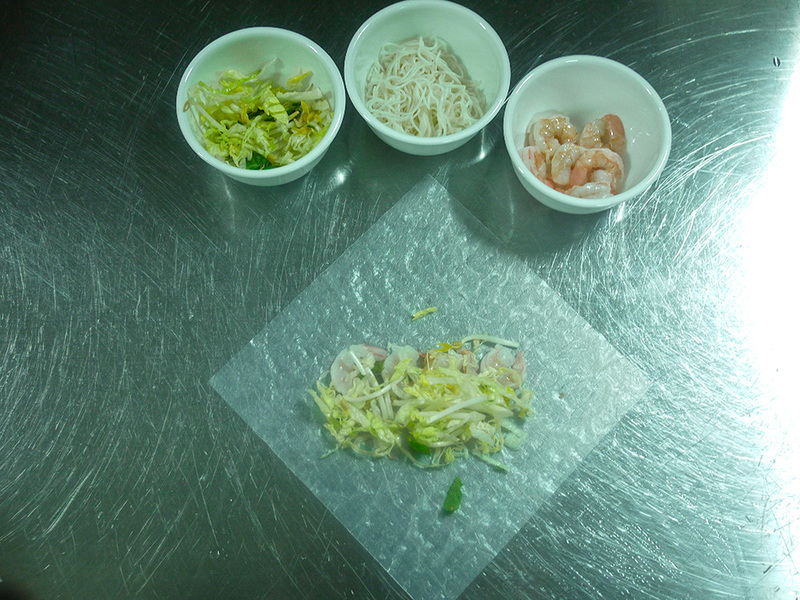 Begin rolling by folding the left and right sides of the rice paper roll over the filling. Place a sprig or two of fresh chive on top so that after you roll it the sprig sticks out of the end of the roll (refer to picture for final presentation to see the chive). 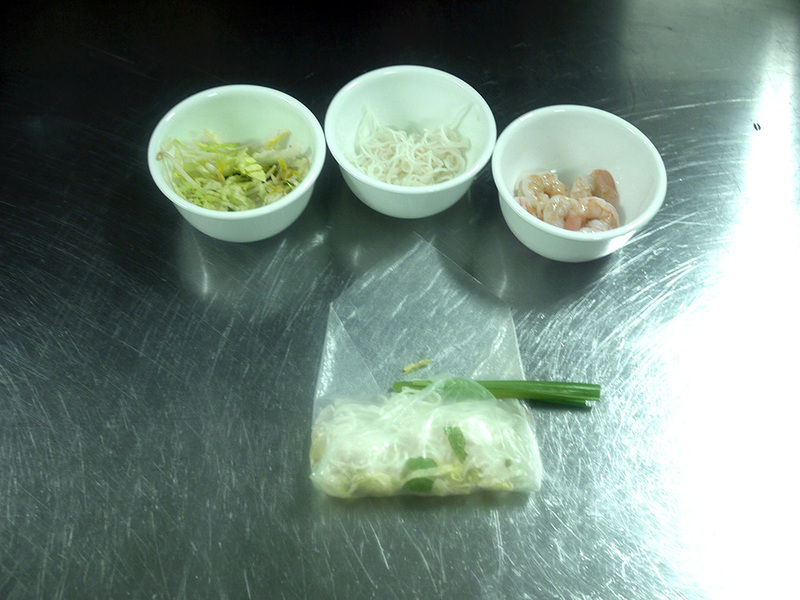 Start at the bottom, and roll the rice paper towards the top. The roll is complete! Serve on a plate with a little bowl for the peanut sauce.